The Great Pyrenees Love-Bliss Association of North America must be a powerful lobby, commercially speaking, since this 2013 wall calendar is still available for sale. One of the vendors even ask 28 dollars for a used copy! Or else they tell their dog to get you, or what? And how can a *used* copy be more expensive than a new copy? Does it come with authentic claw marks from this kingpin breed of viciously aggressive guard dogs? Maybe the proper authorities should take a closer look at this. 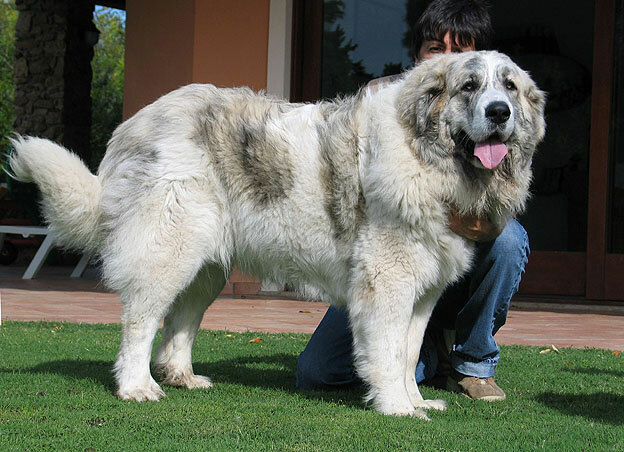 Given the over-sized genetically mutated character of this breed, that wouldn't be the dog-catcher. Sounds more like a case for the National Guard!